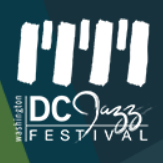 To celebrate the 100th birthday of the great Nat King Cole, the DC Jazz Festival will be programming artists at the Millennium Stage inside the Kennedy Center in June of 2019. Artistic Director Willard Jenkins has been in negotiations with the EBT to perform a set of vocal jazz on Father’s Day in 2019. This concert will be promoted when contracts are signed and information is finalized. Check back here for confirmation.